Intel (NASDAQ: INTC) expands the boundaries of technology to make the most amazing experiences possible. As the leader in the PC industry, Intel is powering the majority of the world’s data centers, connecting hundreds of millions of mobile and Internet of Things (IoT) devices, and helping to secure and protect enterprise and government IT systems. Intel’s manufacturing advantage—fueled by its pursuit of Moore’s Law—lets to continuously push the limits of performance and functionality and expand what experiences can be made possible. 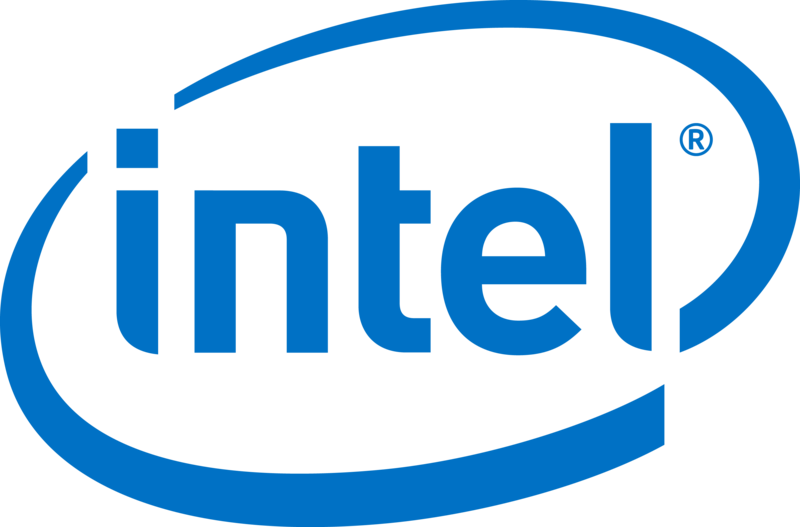 Intel has a growing portfolio of products and technologies that deliver solutions to help Communication Service Providers transform their networks, bringing advanced performance and intelligence from the core of the data center to the network edge. Intel’s commitment to network transformation is long and deep – with years invested in delivering reference architectures, growing a strong ecosystem, and partnering with end-users. Intel is deeply committed to 5G which represents the true convergence of computing and communications. 5G is a fundamental shift for the industry where networks will transform to become faster, smarter, and more efficient to realize the potential for the IoT and mobility, enabling richer experiences throughout daily life – augmented reality, smart cities, telemedicine, and more. Information about Intel and the work of its more than 100,000 employees can be found at newsroom.intel.com and intel.com. Since 1976, NI has made it possible for engineers and scientists to solve the world’s greatest engineering challenges with powerful platform-based systems that accelerate productivity and drive rapid innovation. Customers from a wide variety of industries – from healthcare to automotive, wireless communications, and from consumer electronics – use NI’s integrated hardware and software platform to improve the world we live in. Huawei has over 170,000 product and solution R&D employees, comprising more than 45% of our total workforce worldwide. We have set up 16 R&D centers in countries that include Germany, Sweden, the US, France, Italy, Russia, India, and China. 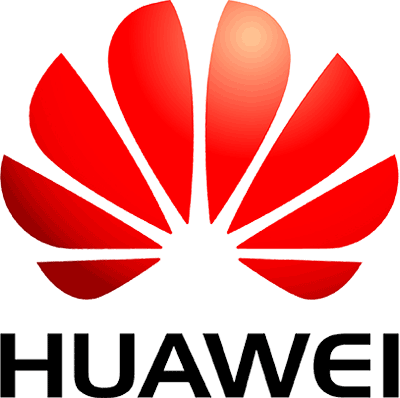 Huawei began investing in 5G in 2009. In 2015, Huawei's revenue reached CNY395 billion (US$60.8 billion based on the year-end exchange rate), an increase of 37% year-on-year. In December of 2013 Huawei announced to pour $600m into 5G research over the next five years, ahead of the expected launch of 5G networks in 2020. Keysight Technologies Inc. is the world's leading electronic measurement company, transforming today's measurement experience through innovations in wireless, modular, and software solutions. With its HP and Agilent legacy, Keysight delivers solutions in wireless communications, aerospace and defense and semiconductor markets with world-class platforms, software and consistent measurement science. The company's over 10,500 employees serve customers in more than 100 countries. The School of Electrical and Electronic Engineering began in 1981 as one of the three founding schools of Nanyang Technological University, Singapore, then known as Nanyang Technological Institute. Today, the School has become one of the world’s largest schools that nurture competent engineers, and is consistently ranked in the top ten in the subject fields of electrical and electronic engineering. The School is backed by faculty members who have broad, varied backgrounds with strong research and professional expertise. The school collaborates closely with renowned overseas universities, research institutes, local and multinational companies and technology companies – start-ups and established names. Our partners include Rolls-Royce, Thales, Delta Electronics, NXP and ST Engineering, to name a few. The School is well equipped with state-of-the-art facilities and sophisticated equipment, hosting over 50 laboratories, 12 research centres, 4 corporate laboratories and counting. Rohde & Schwarz stands for quality, precision and innovation in wireless communications. As a global leader in test and measurement covering the full cellular ecosystem from chipsets and devices to infrastructure and mobile network testing, it supports companies in the growing fields of Internet of Things (IoT) and machine-to-machine (M2M) communications. Network operators, infrastructure vendors, service providers and regulatory authorities use Rohde & Schwarz products to plan, install, optimize and maintain their networks. The line of products covers all test scenarios – from mobile network quality measurements to network optimization and service quality monitoring to IP network analysis. Rohde & Schwarz is the only company to offer single-source T&M solutions for the entire lifecycle of a wireless communications network. Located on the plateau of Paris-Saclay, the IRT SystemX is designed to be an accelerator of the digital transformation. Focused on the digital engineering systems of the future, its research projects cover the scientific and technological challenges of the industrial sectors of transport and mobility, energy, digital security and communications. They respond to the challenges faced by industrialists in the design, modelling, simulation and testing phases of the future products and services that are increasingly integrating digital technologies. Changes in the technologies and the need to integrate them mean that the new “Digitalization” paradigm must be taken into account through a “systems” or even “systems of systems” approach. The IRT’s 2016-2020 roadmap is built around 4 programs: Agile Industry, Autonomous Transport, Smart Territories and Internet of Trust. 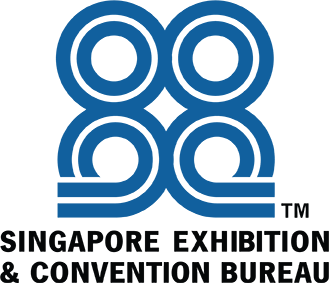 Today, SystemX has launched 23 projects, involving 75 industrial partners and 21 academic laboratories, and 260 staff, including 120 of its own resources. 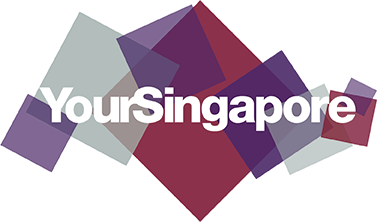 The Singapore University of Technology and Design (SUTD) is Singapore’s fourth autonomous university and one of the first universities in the world to incorporate the art and science of design and technology into a multi-disciplinary curriculum. Established in collaboration with the Massachusetts Institute of Technology (MIT), SUTD seeks to nurture technically-grounded leaders and innovators via its core academic pillars – Architecture and Sustainable Design, Engineering Product Development, Engineering Systems and Design and Information Systems Technology and Design. University of Electronic Science and Technology of China (UESTC for short) is one of the first 211 Project and 985 Project universities, and also, the only electronic information–oriented university. It is the first university in China with all the sub-disciplines of the two disciplines—electronic science and technology, information and communication engineering—being national key disciplines. In September 2017, UESTC was chosen in the list of National "Double World Class" Project that aims to build "world-class universities" and "world-class disciplines" in China. UESTC has four national key laboratories, one national engineering center, forty-one provincial or ministry research institutes, three innovation groups supported by the National Natural Science Foundation of China (NSFC), seven innovation groups supported by the Ministry of Education, and one national defense science and technology innovation group. Recently, UESTC established the School of Medicine together with the Sichuan Provincial Hospital, and founded the Institute of Fundamental and Frontier Sciences, to strongly promote the development of fundamental research in such as Physics and Mathematics. The university has developed into a key multidisciplinary research-oriented university with electronic science and technology being its nucleus and characterized by the harmonious integration of science, engineering, management and liberal arts. Embracing its motto of “to seek facts and truth, to be noble and ambitious”, UESTC is in the pursuit of excellence and talents, and endeavors to become the breeding base for advanced technologies and great minds. UESTC warmly welcomes all talents home and abroad to join in its grand course to a more glorious future. Wiley is a global provider of knowledge and services in research, professional practice and education, partnering with societies and communicating research discoveries. As the home of leading communications technology publications, we proudly collaborate with authors, researchers, societies and organizations, including the IEEE, to support the research community in finding new ways to shape a better future. Xidian University (Xidian for short), under the jurisdiction of the Ministry of Education, is one of the national key universities which have National Advantage Discipline Innovation Platform, and which are supported by the 211 Project. It is one of the 35 universities having a national demonstration School of Software and one of the 9 universities having an integrated circus talents cultivation base. It dedicates primarily to electronics and information education and research and also covers a wide range of academic subjects including engineering, science, management, economy, arts and social sciences.In 2014, Xidian takes the lead in setting up Collaborative Innovation Center of Information Sensing Technology which is enlisted in the Universities Innovation Upgrading Plan ( 2011 Project for short). Xidian is one of the universities in China which pioneered in setting up the majors of Information theory, information system engineering, radar, microwave antenna, electronic machinery, electronic countermeasures. At present, Xidian has 2 fist-level national key disciplines, 1 second-level national key discipline, 33 ministerial and provincial key disciplines. Xidian offers 40 doctoral programs, 77 master’s programs and 50 undergraduate programs, and 9 post-doc programs. In the fields of communication networks, signal and information processing, information security, microelectronics and mechatronics, Xidian possesses distinctive advantages and features in cultivation and scientific research at home and abroad. There are 4 state key laboratories, 5 key laboratories of the Ministry of Education, 17 provincial key laboratories and national defense research institute and aero-space research institute.For years, Xidian has undertaken more than 1600 key and major projects and achieved a number of landmark research results. Since its establishment over 80 years ago, Xidian has cultivated a number of outstanding talents, including 10 academicians of the Academy of Sciences and the Academy of Engineering and 22 IEEE fellows. Eminent alumni include Mr WANG Zhonglin, the Fellow of European Academy of Sciences and a well-known expert in nanotechnology, Mr. YANG Hong, the deputy chief designer of Shenzhou V and Shenzhou VI spaceship and the chief designer of Temple One target aircraft, Mr. LIU Chuanzhi, the Lenovo Chairman, and other entrepreneurs and elites. Thus, Xidian has made significant contribution to social and economic development. In the new era of knowledge economy and in the digital age, focusing on quality, Xidian has been making great efforts to upgrade itself into a research-oriented open university with distinctive features, first-rate in China and famous in the world. Xidian sincerely invites outstanding talents from home and abroad to join. Welcome to Join Xidian University!